Multi iPad Sync 'N' Charge Station allows for charging and syncing of tablets including iPad, iPad Mini, Samsung Galaxy, and more. Charging station has space for storing up to 16 tablets, one laptop with space for power cord and brick, and features two compartments for extra accessory storage. 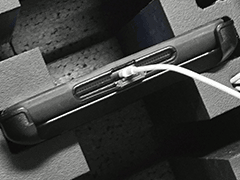 iPads can be connected to USB hub using Apple supplied lightning to USB cable. *Case lid must stay open when iPad's charge. 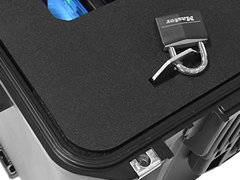 Foam slots provide iPads with ample protection against shock and vibration. Allows for iPads to be locked in while being charged and/or synced. *Do not close exterior lid when iPads are charging or being synced. Sync iPads using Apple Configurator or iTunes. Transfer rates of up to 480Mbps. The iPad Sync 'N' Charge Station allows for syncing and charging of 15 iPads and a laptop. Drone Charging Station can be customized to fit your drone and charge three batteries and remote control. iPad Charging Station charges from 1 to 10 iPads while providing them with protection against damage and theft. 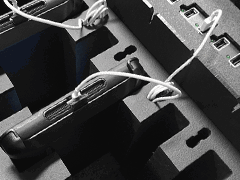 20 iPad Charging Station allows for shipping and transporting and for iPads to be charged. Custom iPad Charging Station allows for ipads and other valuables to be placed in a charging station.